In June 2014, the U.S. Supreme Court handed down a decision in Alice Corp. v. CLS Bank International that left software patentability generally intact but subject to some limitations. The software patentability debate has broiled in the U.S. for at least a decade, and some of it has centered on whether an attempt to patent software is effectively an attempt to patent an "abstract idea." Mathematical algorithms, for example, are considered "abstract ideas, and software operates based on mathematical algorithms. Nevertheless, the U.S. Patent and Trademark Office (USPTO) has been issuing software patents for many years based on previous caselaw that determined that software patents could be patentable if they met certain guidelines, so a Supreme Court decision finding all software ineligible for patent protection could have rendered many existing patents worthless. First, determine whether the claim includes an "abstract idea." Second, if the claim does contain an abstract idea, determine whether the claim elements "transform the nature of the claim" into a patent-eligible application. While §101 indicates that "abstract ideas" are excepted from patentability, in applying this exception courts should determine whether the patent (application) attempts to patent a "building block" or attempts to patent something that "integrate[s] the building blocks into something more." The closer to a "building block," naturally, the more likely a concept will be seen as an abstract idea. The court indicated that claims that purport to improve the functionality of the computer itself in some technology or technical field may be more likely to be patentable. This may seem somewhat counterintuitive: many methods, when performed by computers instead of directly by humans, "improve" some technology or technical field in a general sense. But this improvement, enabled only by a generic computing system standing on its own, is not enough. It seems that the computing system itself must be changed or modified to carry out the method steps outlined in the claims for patentable subject matter to be more likely created. In this case the court found that Alice Corp. took conventional methods (i.e., the concepts of escrowing funds) that were, themselves, abstract ideas, and implemented those abstract ideas using a generic computer system and nothing more. This, the court found, was insufficient to create patent-eligible subject matter. "[M]erely requiring generic computer implementation fails to transform [an] abstract idea into a patent-eligible invention." Determine whether the claim is directed to an abstract idea. Examples: (a) fundamental economic practices; (b) certain methods of organizing human activities; (c) an idea of itself; and (d) mathematical relationships/formulas. If the claim includes an abstract idea, determine whether any element, or combination of elements, in the claim is sufficient to ensure that the claim amounts to significantly more than the abstract idea itself. Examples from Alice Corp. that may meet the "significantly more" standard: (a) improvements to another technology or technical field; (b) improvements to the functioning of the computer itself; (c) meaningful limitations beyond generally linking the use of an abstract idea to a particular technological environment. Examples from Alice Corp. that do not meet the "significantly more" standard: (a) adding the words "apply it" (or equivalent) with an abstract idea, or mere instructions to implement an abstract idea on a computer; (b) requiring no more than a generic computer to perform generic computer functions that are well-understood, routine and conventional activities previously known to the industry. Where does this decision leave us? In short, software is still patentable if the methods involved and the hardware used can be described in a claim that meets the above guidelines. We expect that patent examiners themselves may be more than a little confused about how to examine applications under these guidelines, since the guidelines leave plenty of room for subjectivity. Based on past experience, it is likely that some examiners (and their supervisors) will overreach and attempt to reject more software claims based on patent ineligibility under §101 until more guidance comes over the next few years from the courts. It may also be safe to say that the closer your software is to a known method that is simply implemented on a generic computer, the less likely it will be patentable, and vice versa. 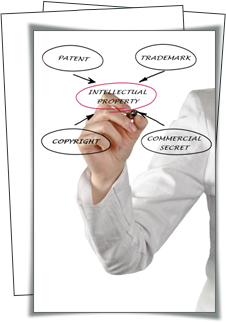 If you have any questions about the patentability of software, please contact us.